For an action-comedy, “The Spy Who Dumped Me” often feels more like two movies slammed together than a deft hybrid of the two disparate genres. It's a sporadically funny comedy that champions the steadfast friendship at the center, and then it’s also a straight spy thriller strewn with a lot of stabbed, bullet-riddled bodies. 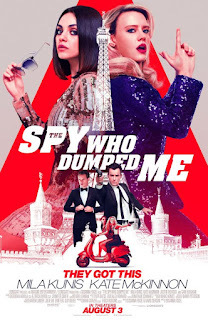 2015’s uproarious Melissa McCarthy vehicle “Spy” did it better, but as co-written by director Susanna Fogel (2014’s “Life Partners”) & David Iserson, this mid-level romp rides almost entirely on the easy, undeniably enjoyable chemistry between its two comic foils, as well as a few proficiently helmed action set-pieces. The premise is generally timeworn—two ordinary people get plucked into the espionage world—and yet “The Spy Who Dumped Me” is made watchable and diverting by the pair-up of the likably acerbic Mila Kunis and the confidently goofy, twinkle-eyed Kate McKinnon whose talents do not go untapped. Los Angeles organic-market cashier Audrey (Mila Kunis) has just been dumped over a text message by her boyfriend, Drew (Justin Theroux). After celebrating her 30th birthday with out-of-work actress best friend Morgan (Kate McKinnon) and setting aflame to some of Drew’s things, Audrey learns that her ex is actually a CIA operative when a pair of agents, Sebastian (Sam Heughan) and Duffer (Hasan Minhaj), pull her into a van for questioning outside her workplace. She is oblivious to Drew’s real line of work, and not long after he reveals his occupational secret and that he broke it off for her own safety, he is gunned down at her apartment. Drew’s dying wish is to have Audrey deliver a package (an important flash drive hidden in the base of a fantasy-football trophy) to a source at a cafe in Vienna, Austria, so that leaves Audrey, with Morgan in tow, to trot the globe while trying to dodge bullets. As their misadventures pile up in Prague, Paris, Berlin and Amsterdam, so do the bodies, and in working on their first big mission as spies, Audrey and Morgan could get used to this. Despite the title being an obvious spin on 1977's 007 outing “The Spy Who Loved Me,” “The Spy Who Dumped Me” isn't really a satire or some some tired spy-movie spoof, but rather a comedy that takes its spy-movie carnage seriously. To wit: a gun-wielding woman has her forearm stabbed, a man’s head gets plunged into a steaming pot of fondue, an innocent Uber driver is shot in the head, a villain is impaled on a spike, and a thumb is severed to unlock a phone. Given director Susanna Fogel’s last directorial effort being a low-key indie about a female friendship, the action is actually skillfully staged, given a major assist by “Bourne” and “Bond” stunt coordinator Gary Powell, particularly the desaturated-toned opening set in Lithuania where Drew throws himself into action. At the same time, the tonal balance between all of the madcap comedy and eyebrow-raising, bone-crunching violence can be jarring. It takes an adroit touch to swing from comedic quips to R-rated violence, a touch that doesn’t always play comfortably here, but Mila Kunis and Kate McKinnon do a lot to smooth over this hurdle and any of the inconsequential plot mechanics involving the McGuffin-y flash drive. 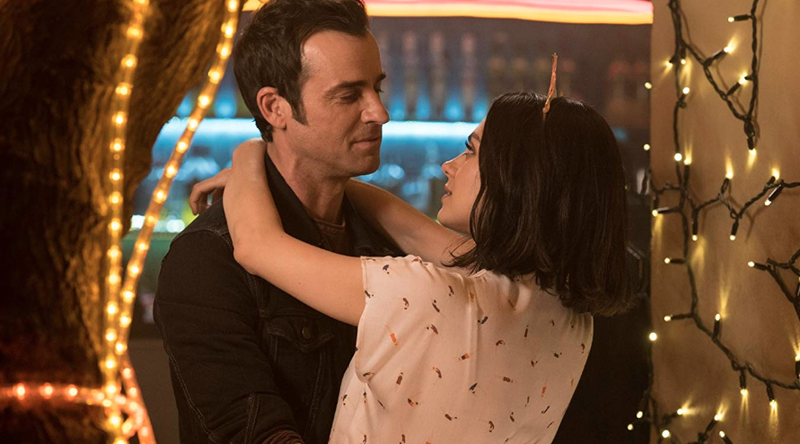 Mila Kunis’ Audrey is the straight woman in the equation, but as the dumpee in the title, Kunis brings a grounded sympathy and natural pluck to someone who never finishes anything and feels she should be doing more with her life. No longer on the margins, Kate McKinnon is as front and center as Kunis, and she is a go-for-broke giggle generator with an excitability that cannot be faked or tamed. Here, her lovable, intensely alive co-leading turn as "too-much" Morgan (the discovery of her last name earns a chuckle) gives the “SNL” breakout plenty of room to turn it up. Not only is Morgan a big personality but a big feminist, so much in fact that she becomes awestruck when she meets the head of MI6, Wendy (played by an icy but not humorless British-accented Gillian Anderson), whom Morgan admirably calls “a real-life Judi Dench” and “the Beyoncé of the government” in the same scene. McKinnon is such a brilliant, scene-stealing comedienne, punching up one-liners with her sharp, inspired comic deliveries and daffy facial reactions not unlike Madeline Kahn, that she exists on a higher plane of her own making. Kunis and McKinnon are terrific bouncing off one another, making Audrey and Morgan's bond more significant than the flash drive sought after by intelligence agencies and terrorists. Thankfully, the script never contrives a falling-out for these two friends but only brings them closer. Audrey does, however, get the option of a new romantic rebound in the form of Sam Heughan (TV’s “Outlander”), who’s physically able in the hand-to-hand combat scenes and has rugged good looks as dashing MI6 agent Sebastian. As one-note as their parts are, Jane Curtain and Paul Reiser are also very funny in brief, other-side-of-the-phone scenes as Morgan’s oversharing New Jersey parents. And then, ready for her close-up in a sadistic thriller, Ivanna Sakhno is frighteningly chilling as dead-eyed model-gymnast assassin Nadedja whose only true friend is a balance beam. 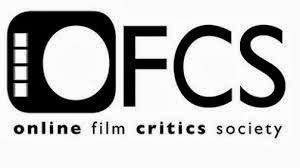 More violent and bloody than one might be expecting in a studio action-farce starring Mila Kunis and Kate McKinnon, “The Spy Who Dumped Me” somehow remains spirited by the very nature of its two stars. Much of the humor is situational—Audrey and Morgan hijack an older couple’s car until realizing it’s a stick shift; they end up having to get behind the wheel of an Uber driver’s car while evading bullets; and Morgan goes undercover as a trapeze artist at a Cirque du Soleil performance—and director Fogel finds a way to make most of these fish-out-of-water situations fresh. There is a funny setup and payoff to an Edward Snowden joke and also a rather amusingly critical observation at the expense of dumb American tourists when Nadedja is tasked to kill Audrey and Morgan but finds other interchangeable targets that fit the same description through her scope. Not every joke lands—two needless gags involving diarrhea mercifully stop before going too far and could have been excised entirely—but the source of most of the laughs comes from the stars knocking a surprising one-liner out of the park. “The Spy Who Dumped Me” might not be as consistently side-splitting as one hopes it would be, and the 117-minute film could have afforded to lose at least fifteen minutes when Audrey and Morgan face one double-cross too many. When Kunis and McKinnon get to just do their thing, it really cooks.